Why are Lebanon’s Ancient Sites Disappearing? A two-time recipient of the Samir Kassir Award for Freedom of the Press whose work has helped save artifacts of Beirut’s Roman past. Battah proposes to investigate why efforts to preserve his country’s archeological record so often give way to development projects backed by well-connected business people or even government officials. Habib Battah has spent years documenting the mixed blessings of Beirut’s construction boom on his blog, the Beirut Report. Thanks to Press Start donors who helped Habib successfully reach his campaign target, he can continue his work documenting the sweetheart deals that enable luxury developments and the destruction of ancient sites unearthed in the process. Habib is a two-time recipient of the Samir Kassir Award for Freedom of the Press whose work has had demonstrable impact in the Lebanese capital. His documentation of the discovery of ancient Roman ruins at the site of a $150 million development project swayed the government’s decision to cancel the project and preserve the site for posterity. Backing from Press Start donors is vital to Habib’s ongoing project on tracking the fate of more than 100 ancient sites discovered during the construction boom that has remade Beirut since the end of the civil war in 1990. Only a handful of the sites survive. In most cases, testimony to the city’s 5,000 year history made way for luxury apartments and shopping centers, many owned by politicians. Little has been done to preserve or even signpost the few surviving sites. Not all the news is bad: as Habib reports, some newly-discovered archaeological sites are being preserved, even as old neighborhoods fall to the wrecking ball. The support of the Press Start community and other donors is helping Habib ask probing questions:Who is accountable for the decisions that have led to the destruction of Beirut and Lebanon’s archeological heritage? Have many ruins disappeared as some allege? The Ministry of Culture often complains that it lacks resources, but what is being done to raise funding or create local and international partnerships to share costs? An alert reader recently tipped me off about construction work in Beirut that appeared to have unearthed an ancient site (buried two to three meters below the surface). In the reader’s photos, a road and at least one structure were clearly visible. Alas, by the time I went to the site in person, the structure had been replaced by a gaping hole and the road was being dug up. I’m continuing my investigation into the systemic reasons why this is happening across Lebanon. Please see my post about the site on the Beirut Reporter website. Poking my camera lens through more construction fences in Beirut, I recently happened upon a first-century burial ground with hundreds of graves. The property is part of a planned innovation hub, Beirut Digital District, that is being privately developed with support from the government. The project’s backers say it will transform a poor, rundown neighborhood, but skeptics fear that it will make the area unaffordable for those who live there now. In any event, it remains an open question what will happen to the cobblestone paths, funerary art, human and animal remains, fragment of city wall, and other finds unearthed here. To see more, click here. A recent significant find in northern Lebanon, a beam from a Bronze-age scale, suggests the region was more technologically sophisticated and economically developed than was previously thought. As I note in a blog post for Beirut Report, part of the site where the item was found has already been bulldozed and paved over. Read more here. Battah, who is also a filmmaker and blogger, investigates cases of official mismanagement, questionable public projects, and other under-reported stories. His recent investigations have focused on demolitions of archeological and architectural heritage sites in Lebanon, the unregulated privatization and destruction of green space and coastal areas, the lack of transparency and accountability in public works projects, and inadequate public utilities, such as Lebanon’s internet, which is among the slowest in the world. Postwar Lebanon suffers from weakened institutions, and the mainstream media are no exception, he says. Some are beholden to business or political interests. Others lack the budget and staff to go beyond the superficial recounting of daily events. “Only in recent years have we witnessed a raft of new investigations and exposés, emanating largely from independent researchers, activists, and journalists,” Battah says. Many Lebanese journalists face frequent harassment by powerful business interests or even assault by militias belonging to political bosses. Still, reporters in Lebanon’s politicized media find little sympathy among the public, which usually views them as political pawns or troublemakers. As investigative journalism in Lebanon is not encouraged, many young reporters are neither trained nor inclined to do the hard-hitting stories. Instead, they favor those that are far less time-consuming or avoid asking hard questions. One of Battah’s recent investigations revealed that a planned multimillion-dollar real estate project sat on a plot of land strewn with major Roman-era ruins. After weeks of reporting, Battah’s coverage of the project went viral and the story was picked up by several publications. “Within two days of publishing the photos, the minister of culture announced that the $150 million project would be canceled and the site preserved for the public,” Battah notes. Please support Battah, so he can do more investigations like this one. To read about Battah's reporting proposal, please click here. Click here to see Habib Battah's reporting proposal. 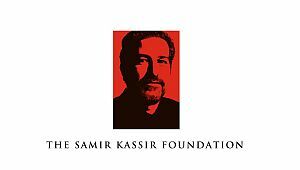 Notable work or awards: Two-time recipient of the Samir Kassir Award for Freedom of the Press. A recent expose led to the abandonment of a development project that threatened Roman ruins in Beirut.